Primrose is marching ahead with confidence by imparting qualitative education to its students for over 10 years now. The vision of doing something different is not a utopia, rather it is a reality in our school. Learning is no longer restricted to the text book but a process whereby the child enjoys knowledge acquisition. Education is a nation-building activity whereby we strive to help each student to realize his potential and be a responsible citizen. There is no substitute for hard work. Rome was not built in a day. Similarly, our school has grown from strength to strength. I am proud of my school’s progress. We are witnessing a changing world. I believe we will really help our students only by training them as responsible, independent and brave individuals. For 10 years we have represented a community where we build young minds, taking into account each child’s needs and demands. We help students to discover themselves, be curious and happy, to mingle with people around them. We encourage them to explore the universe so that they grow to be men and women the society appreciates. I feel, despite our talent and hard work we need Divine intervention for things to go our way. 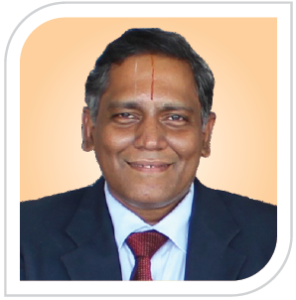 Our past president Dr. S. Radhakrishnan said “Physical efficiency and Intellectual alertness are very dangerous if spiritual illiteracy prevails” I, therefore, urge the students to ignite that spiritual flame in them. Spirituality in no way guarantees a life free of difficulties, sorrows or troubles, but it provides that inner strength, confidence and courage to tackle all human crisis that come our way and emerge victorious. With the able guidance of The Mother, and co-operation from the Board of Trustees and support of teachers, we hope to transform Primrose Schools into a World class Institution of Excellence for the youth. We promote the joy and excitement of learning and also enjoy the pleasure of our achievements. Dear students, I encourage you to work hard in school, set goals for your life, and stay focused on those goals. Keep your eye on your goals and do not let anyone or anything deter you from achieving them. Primrose Schools aims to create a supportive and inclusive environment, where gifted and special children are encouraged to explore their potential and achieve their personal best in all aspects of school life. Students are engaged through authentic learning opportunities that inspire them to develop creativity, confidence and resilience to become independent and ethical life-long learners.